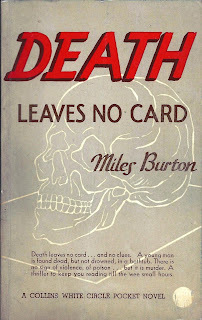 It's a helluva story. 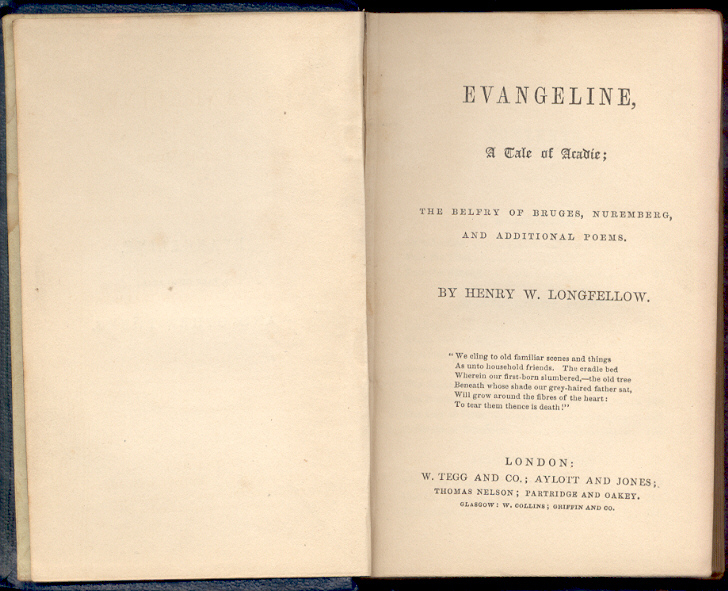 So thought Henry Longfellow whose 1847 poem Evangeline, a Tale of Acadie was a best seller. 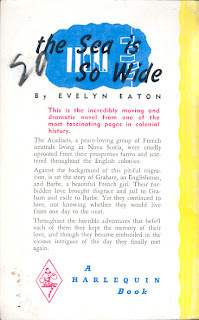 Ninety-six years later Canadian novelist Evelyn Eaton published her The Sea is So Wide. 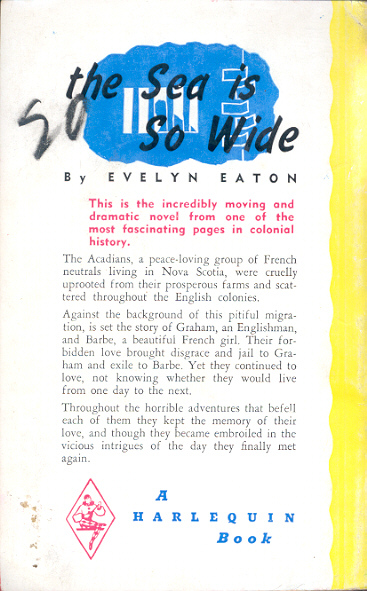 Both use the 1755 expulsion of the Acadians from Nova Scotia as a background to lost love. 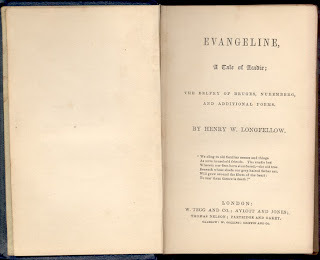 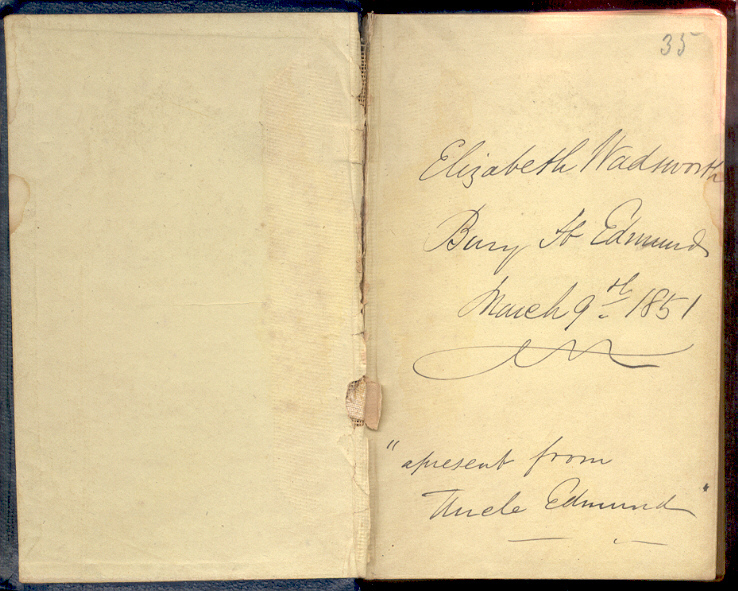 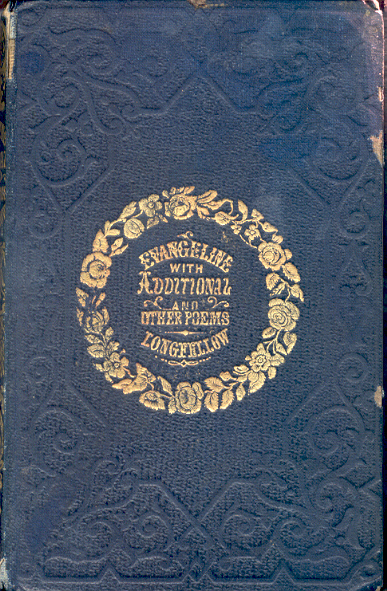 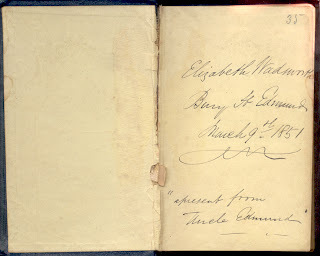 An early (circa 1851) English edition of Evangeline joins a Harlequin edition of The Sea is So Wide published 101 years later. 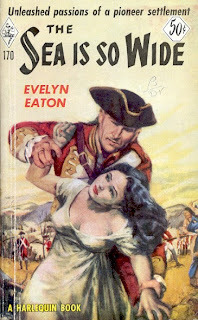 Surprisingly both remain in print. In the first of this series of posts I listed the first ten White Circle reprints from 1943 published by Toronto's Wm Collins Sons & Canada Co. Here is one of the two that had a total of four printings. 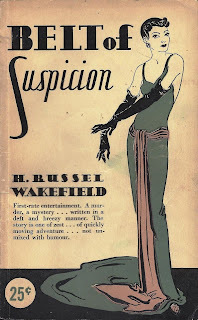 In the last post I listed the first 10 reprints from Wm Collins & Sons Co Canada Ltd in their White Circle paperback series. 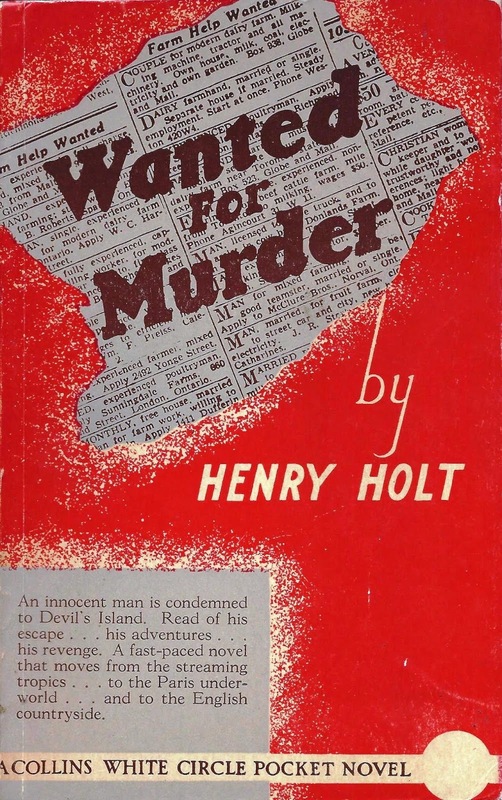 The last one in the group is below along with the first 1942 printing. 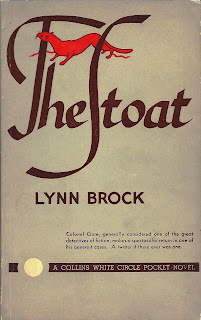 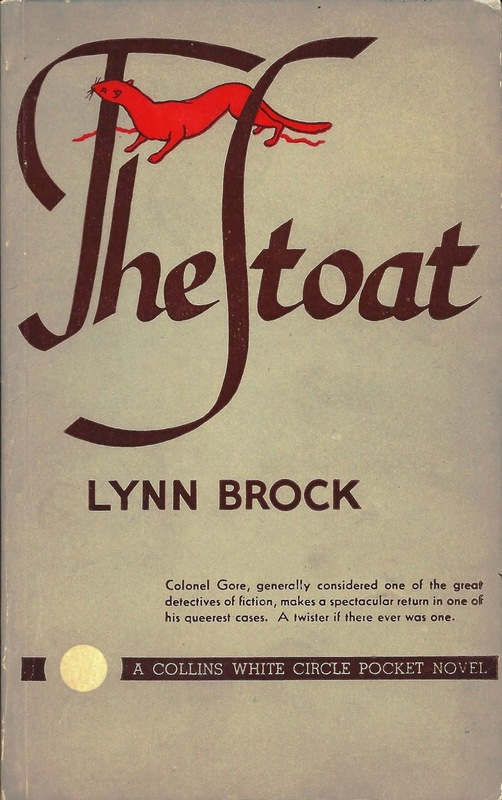 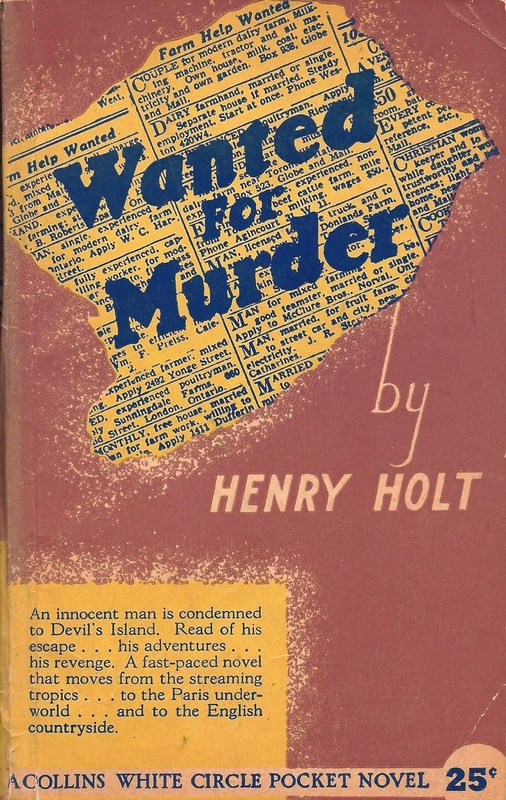 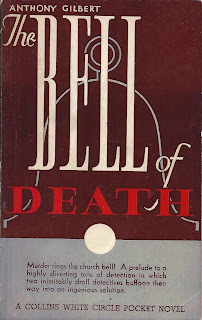 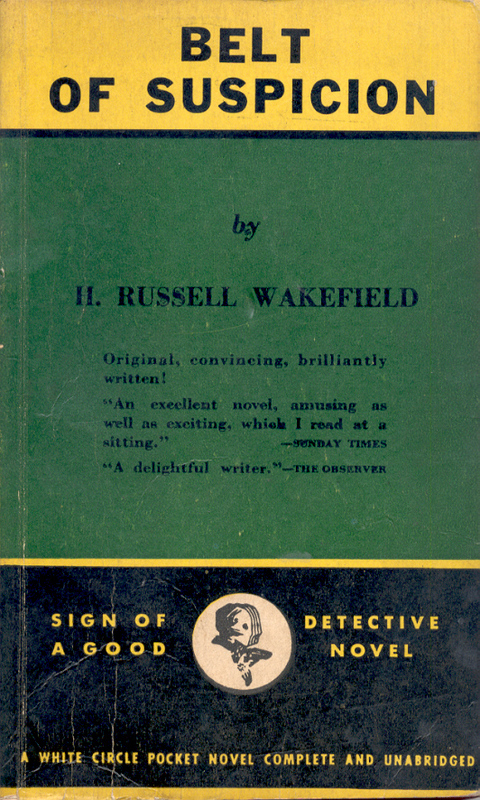 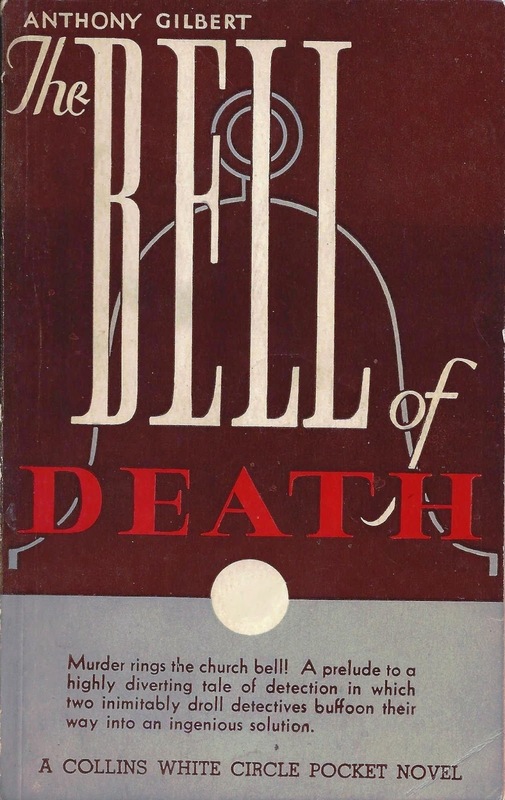 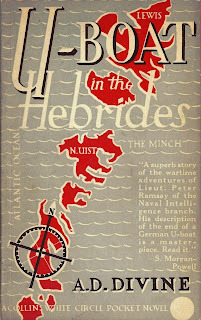 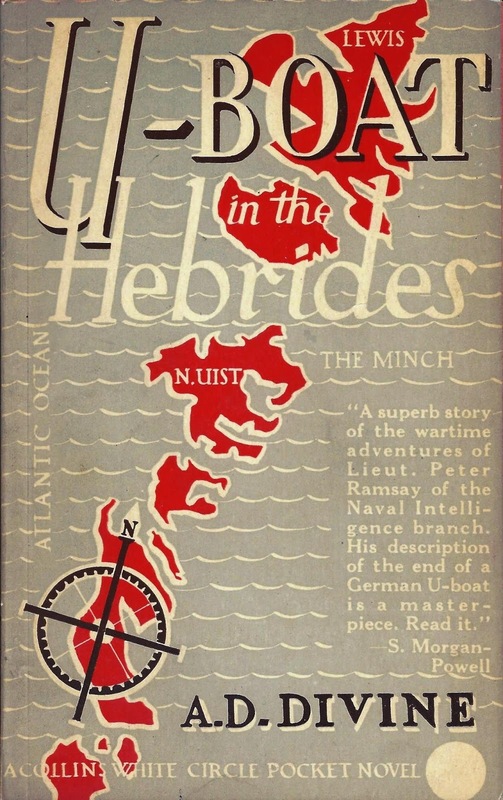 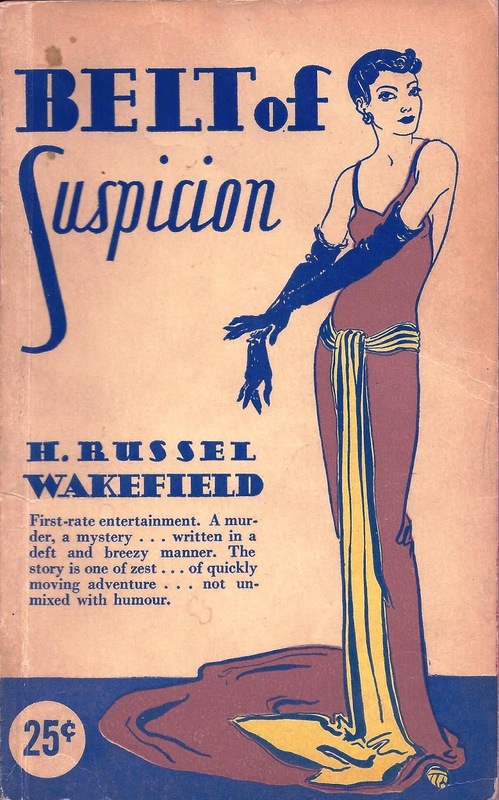 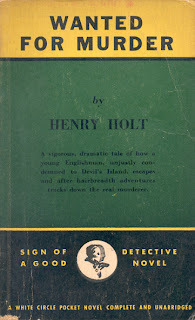 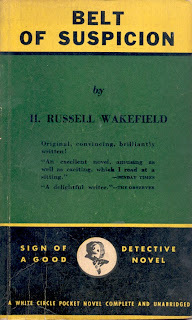 After publishing its first 50 White Circle paperbacks in 1942 with classic text only British covers, Wm Collins & Sons Co. Canada decided, in order to compete with the American books coming into Canada, that the covers needed to be more distinctive. 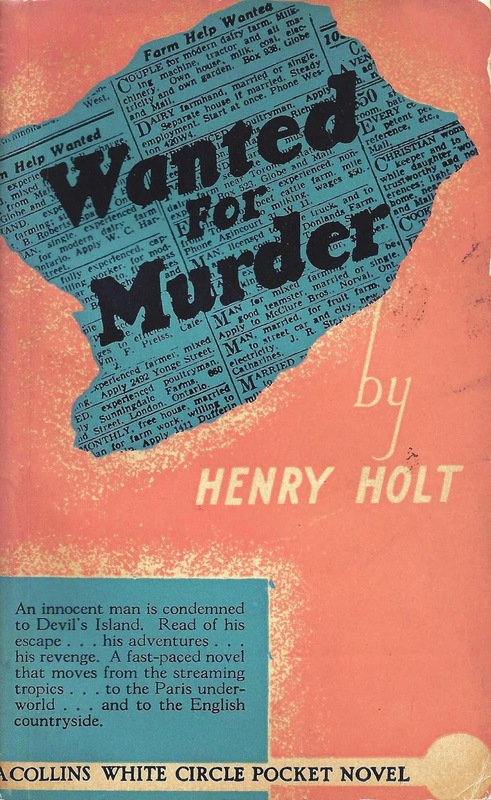 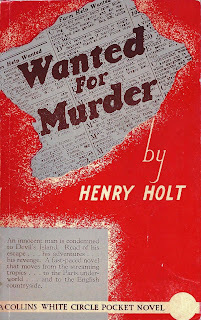 Joining new releases were 10 reprints in spring 1943 of 1942 books. 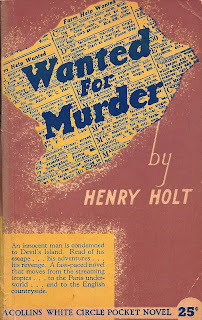 Here is the list with the 1942 printing's number. 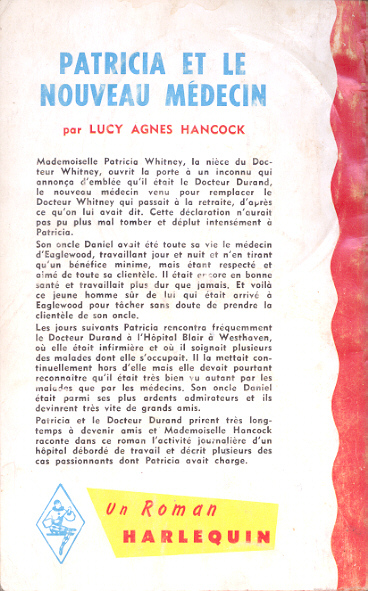 The first four books were not reprinted again. 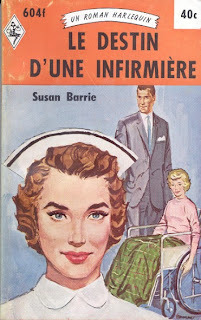 Here are some early efforts by Harlequin Books in Lower Canada. 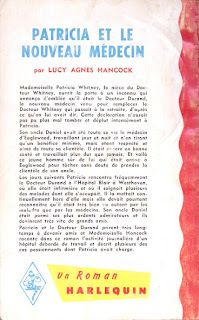 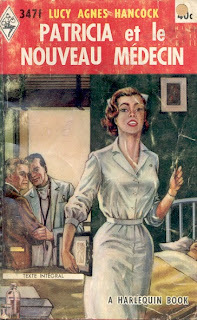 Patricia et le noveau medecin was Pat Witney, R.N. 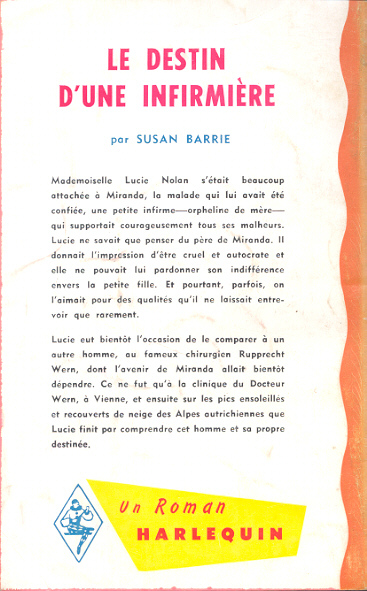 (Harlequin 347). 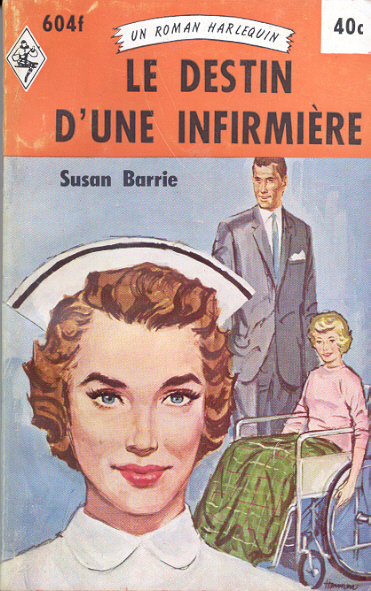 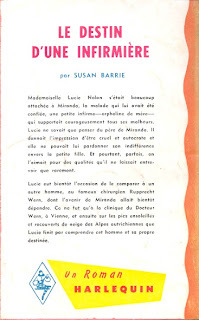 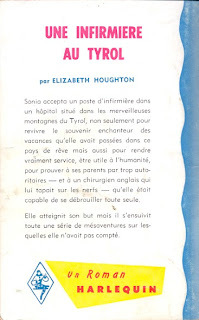 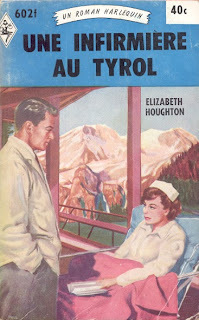 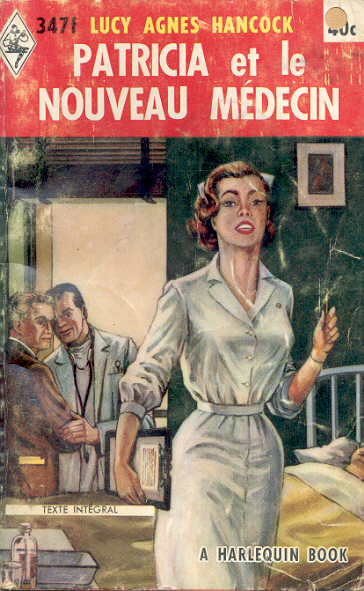 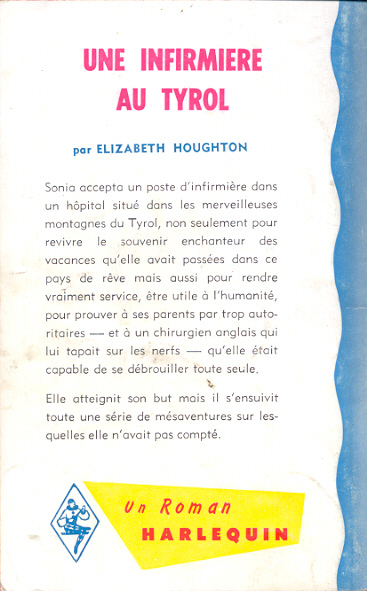 Le destin d'une infirmiere was published as Harlequin 580 Nurse Nolan, originally Dear Tiberius (Mills & Boon) and Une infirmiere au Tyrol was Harlequin 556, Staff Nurse in the Tyrol.